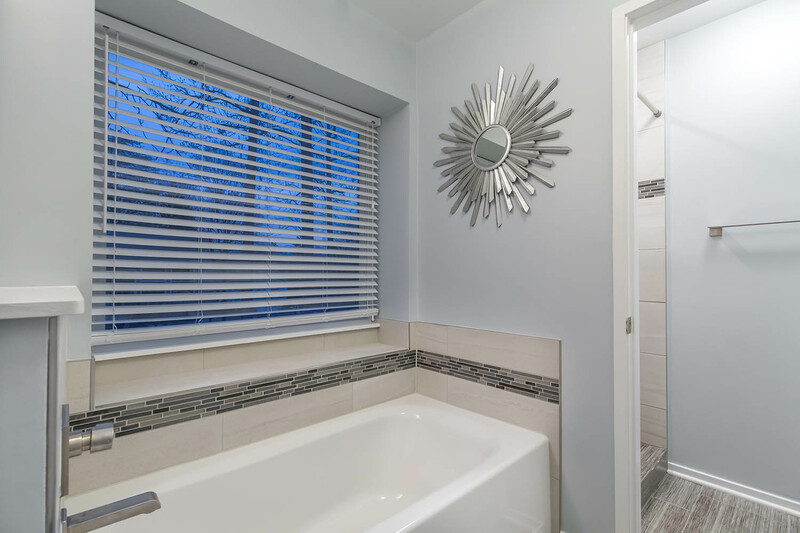 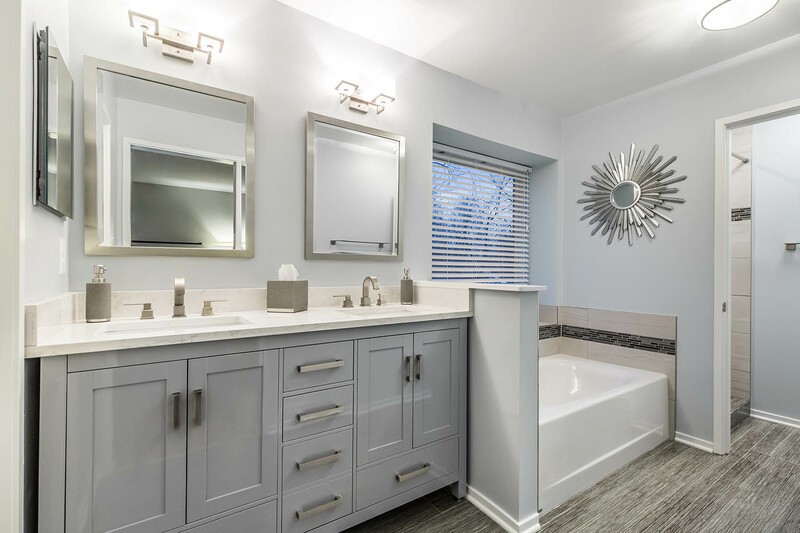 Our clients, busy professionals with 2 children, wanted a master bath that offered tranquility and beauty. 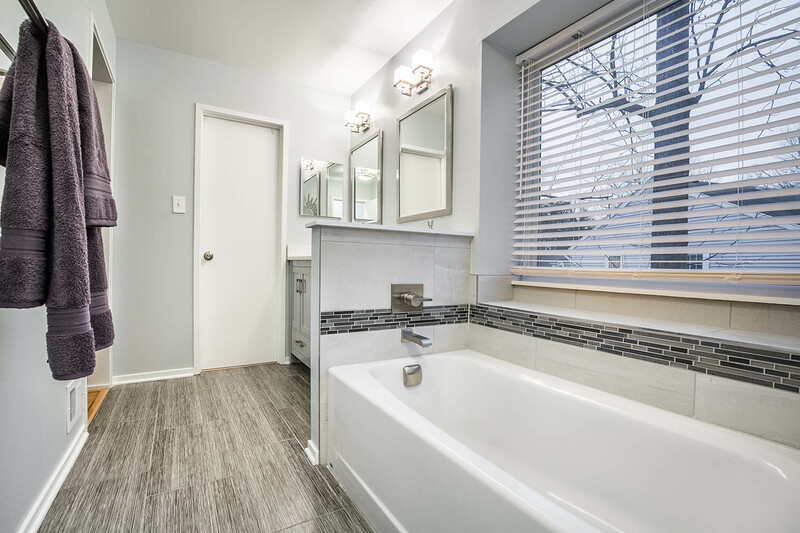 We kept the same footprint, but completely gutted the space, which was the original bathroom from the 1980s. 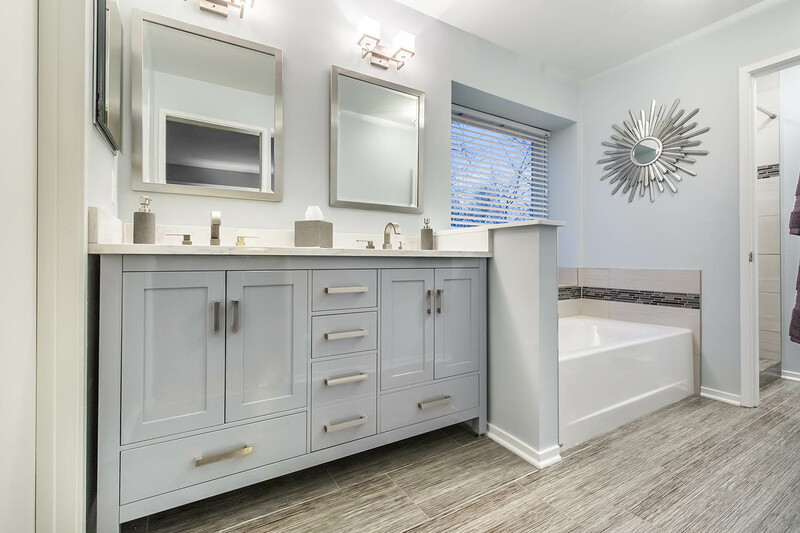 The soothing gray-blue tones are reflected in the furniture-style vanity, porcelain tile, and wall color. 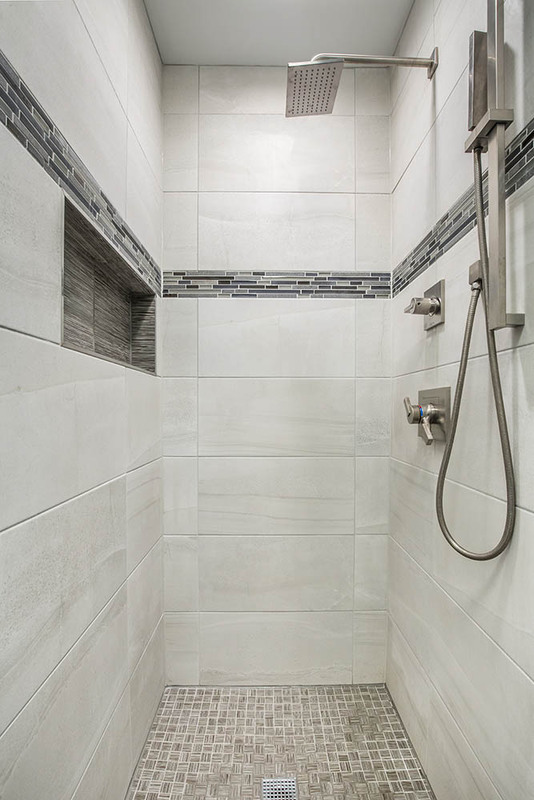 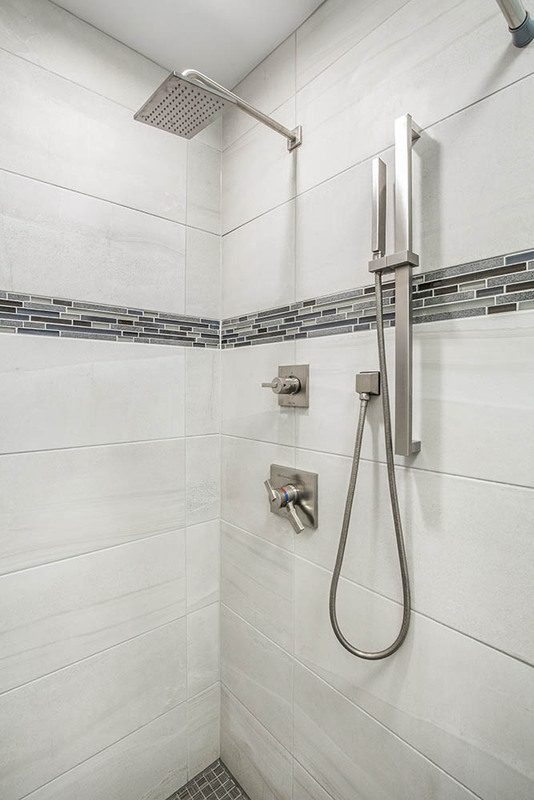 The faucets, shower set, lights, and pulls all have angular features, reflecting an upscale, modern flair.